Super simple, clean space but how did they hide all the wires? Enquiring minds want to know. 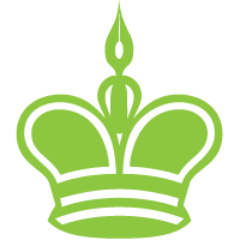 Diacarta is a visual calendaring application for the iPhone. Its simple with icons and a visual representation of events. Great way to keep track of personal tasks but probably not suitable for business. Does not (yet) sync with iCal or support repeating events. But its pretty! Available on iTunes for a mere $1.99, its certainly worth a try. 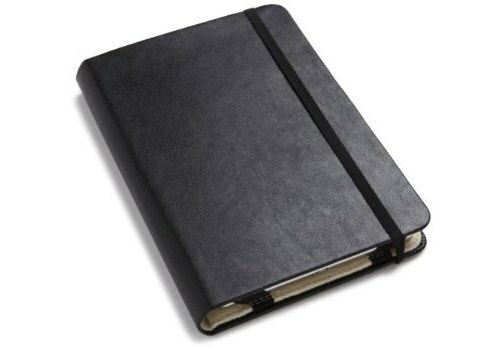 That’s not just a Moleskine. That’s a Kindle with an official Moleskine cover with reporter-style notebook. Minimalism at its finest. Sunlight and beautiful view. What more could you need? 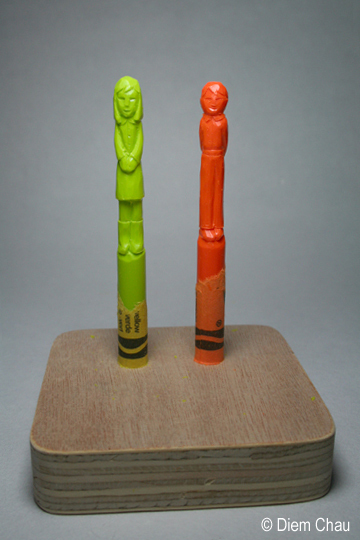 Carved crayons by Diem Chau. Clearly demonstrating that the medium can be the message — or in this case the medium can be the art.